As the year comes to a close, we all tend to get a bit reflective. Here at crowdSPRING, a lot of that reflection centers on the year in design. Today we’re focused on book cover design. It’s estimated that a buyer decides whether or not to purchase a book in the first 8 seconds, making an eye-catching aesthetic critical. But book cover design can be tricky, especially in an increasingly digital marketplace. An author’s book is listed in a grid alongside dozens of other titles, which means solid design has never been more important. It’s not enough for it to be clean. It has to stand out. It’s not your average book cover, but perhaps that’s to be expected from a book that’s written almost like a graphic novel by an illustrator. The witty, biting writing aside, the cover is distinctive in multiple ways. The sprawling text of the title, taking up far more of the space than you’ll usually see, breaks with convention. It’s surprising in its simplicity, with the coloring of the text adding a layer of elegance. And as a bonus, it’s always going to stick out in the arrays found in digital marketplaces. There’s no confusing what this book is. A tale of secrets and the tangled webs they weave in the context of community, love, and ambition, the plot and characters of The Mothers is well matched by its bold, striking cover. The colors and abstract arrangement of shapes make it sure to stand out among more subdued cover design, and conveys a message about the tone of the story before you even get to the summary. The fact that what, at first glance, simply looks like abstract art also implies the silhouette of a woman adds a layer of complexity you can’t help but admire. It might be a period piece, but this modern, striking book cover is anything but old hat. The story follows a young woman struggling to find herself after having lived comfortably in the shadow of her brother her entire life, and the design of this cover does a good job of illustrating the complicated exploration she’s embarked upon. The dignified painting of a woman of stature is fractured by a constellation of haphazard fragments, representing the kaleidescope of revelations ahead of the protagnoist and the undoing of a stale persona, while the placement of the text within this unraveling implies in sophisticated fashion just where the story is headed. 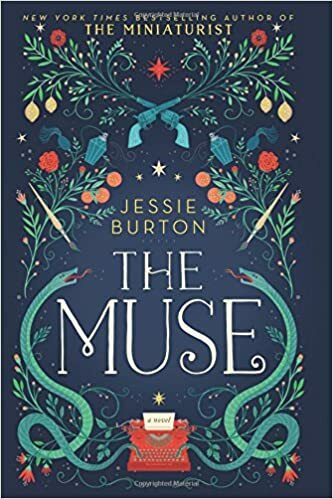 Jessie Burton is best known for her novel The Miniaturist, but her 2016 book The Muse weaves a beautiful tale itself, with a gorgeous cover to mask. The story weaves narratives from multiple time periods, illustrating a web do deceit that’s spanned decades, and the sophisticated illustration gracing its cover serves its complexity well. Not entirely breaking with tradition, it incorporates images of elements and items that feature in the story itself, but unlike more traditional covers, the composition nearly obfuscates their placement. Paired with a font that just hints at the mischief within its pages, it’s a truly satisfying arrangement where the meaning is amplified by the time you finish reading. This book is hilarious, witty, and poignant, and its cover rises to the occasion of representing its contents with panache. West details her evolution from a shy young girl, afraid of the size of her body and opinions, to an outspoken activist and writer, too often referred to as “shrill” for having the audacity to be a woman willing to use her voice. 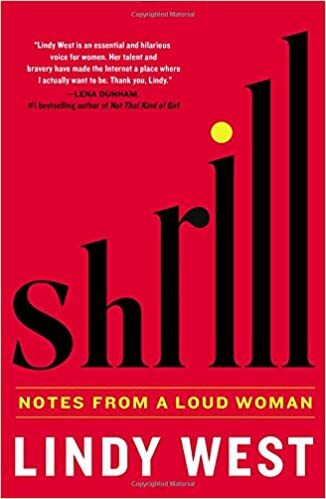 The upward slope of the type size not only reflects her personal journey but the connontation of the barbs thrown her way, clearly communicating the content and tone of the novel in a way that sticks out. There are a few reasons this cover design is uniquely worthy of consideration. For starters, it breaks from industry norms related to the genre. 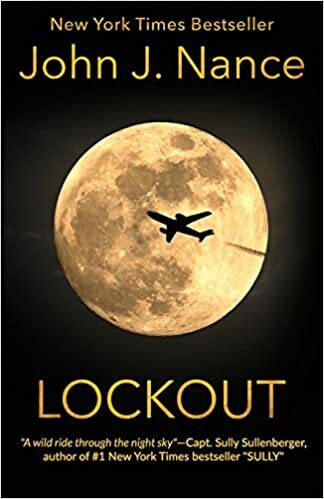 The thriller incorporating sabotage, international politics, terrorism, and more has more in common with old school James Patterson or modern works from David Baldacci, but the cover eschews the trend of dramatized, dark imagery in favor of something more subtle. It correlates with the tone and tenor of the book itself, and helps separate the book from the glut of common high stakes thrillers. Even better? The cover was designed by one of crowdSPRING’s own, GoldenPX! These are just a few of the covers that really stood out to us this year. How about you? What were some of your favorite book cover designs? If you need a book cover design of your own, take it to the crowd! Our 195,000 talented creatives will be all too happy to find the look that’s right for you and your story. Who knows? You might even make our 2017 Best Of list!